Twenty-five years ago, Jeffrey and Susan Clayton fled their tyrannical father--a man who was later suspected in the heinous murder of a young student. Though the father was never charged, he committed suicide. Or so it seemed. For someone has sent Susan a cryptic note. Once deciphered, it carries a terrifying message: I have found you. Meanwhile, a serial killer has invaded a tightly controlled community. Is Jeffrey Clayton's father the source of this latest killing spree? The authorities think so--and they present Jeffrey, now a noted expert on serial killers, with a challenge: Find the butcher responsible for the newborn spate of carnage. 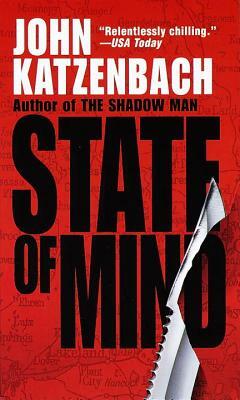 Find your father. . . .
John Katzenbach has written five previous novels: the Edgar Award-nominated In the Heat of the Summer, which was adapted for the screen as The Mean Season; the New York Times bestseller The Traveler; Day of Reckoning; Just Cause, which was also made into a movie; and The Shadow Man (another Edgar nominee). Mr. Katzenbach has been a criminal court reporter for The Miami Herald and Miami News and a featured writer for Herald's Tropic magazine. He lives in western Massachusetts.